Supplementary material reads: "Photo assignment for Monday, November 4 at 3:30 p.m. Pls. 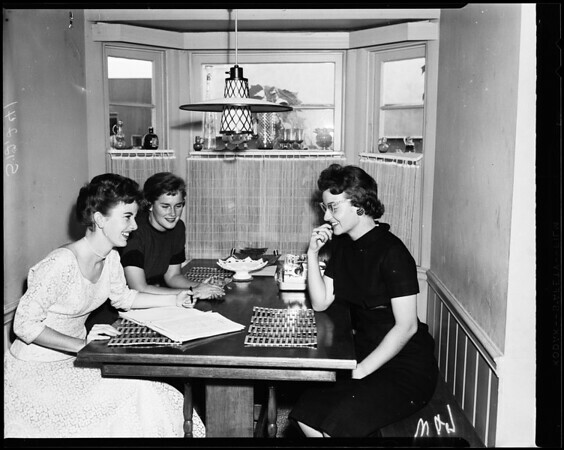 go 1to home of Mrs. Beatie, 3786 Stewart, Mar Vista, get shots of gals for new provisional tea of Las Duenas. Candid, three cols., animated, unaware of camera, close together. Contacts Monday. Thanks. Carter Ludlow".